I don't know if Samsonov is still using Mazunov but what I'm sure is that he still used it 3 years ago. I saw in Michel Detrigne's workshop, 8 Mazunov blades: all 95gr, sealed, prepared in a box , ready to go to Düsseldorf where Samsonov was going to participate at a training camp. this is just one pic I found with a quick search. Nope, the blades I saw 3 years ago had normal Mazunov handle. 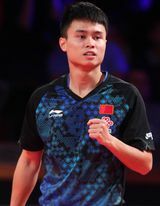 -Stiga def for Han Ying with TSP handle. another picture there, from 2016 it seems. for me it's clear he parted ways with the mazunov long time ago. personally, after trying the mazunov, I don't believe a pro player would find it attractive for playing these days. what are calderano new xiom rubbers , amazing spin and speed? What blades and rubbers did ma lin and wang hao use throughout their professional career? 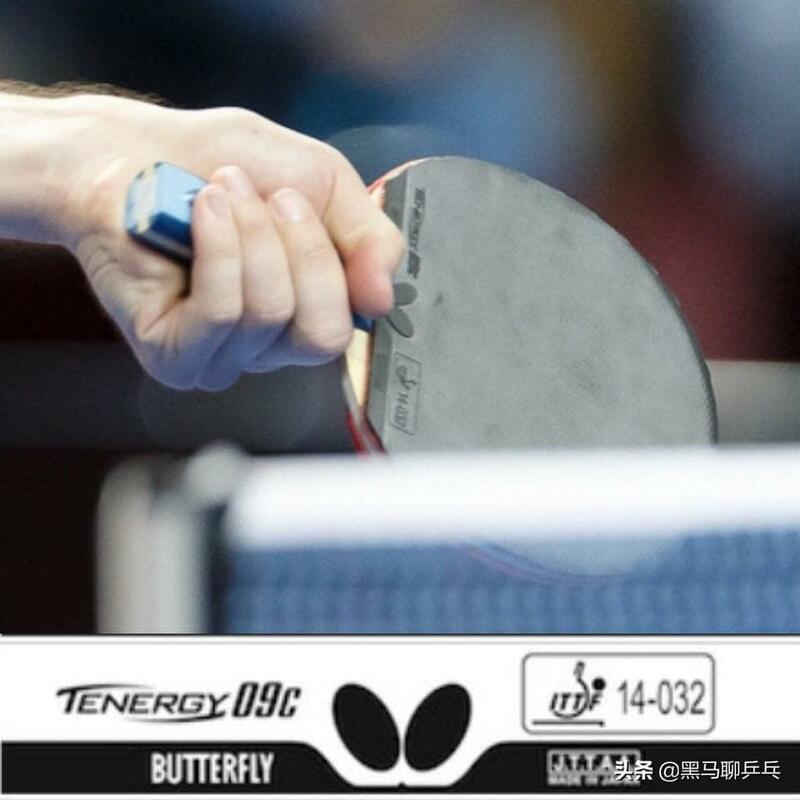 Apparently Timo Boll was using Tenergy 09C during 2019 German TT National Championship (NDM 2019) in Wetzlar. What the heck is "09C"? I thought he was just using 05 Hard on the FH and possibly Dignics 05 on the BH. It is on the Larc since 2017 but nobody really seems to know what is is. On a german forum someone (from Timo Boll's hometown and who ran across him?) claimed that the 09C is somewhat tacky and (of course) designed for close to table play. 09, 05 etc. refers to the pimple design. So the 09C is either completly new or maybe form the time when Butterfly way still doing reasearch for the (original) Tenergys and "recently" picked it up again and worked on it due to the demands of the plastic ball. Dignics and Lemuria by the way are on the Larc far longer compared to the 09C. Did anyone else pick up on this interesting snippet: https://youtu.be/9T896oYjLnI?t=480. Only time he played with red FH, I think. What's that all about? According to "TT Equipment" on twitter (who noticed that Timo Boll had been using 09c), it is believed that the rubber will be somewhere between Tenergy 05 and 25, and the C likely indicated that it will a stickier rubber. It is true. Timo Boll was using Tenergy 09c. So his use of T05H only lasted a few months? And was it dignics on the BH? So much mystery. 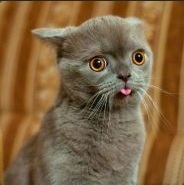 I'm surprised i haven't seen anything on the forum about the launching price of $105 USD for Dignics 05. Outrage found on this thread. All other folks are patiently queuing outside TT shops worldwide waiting for the launch day. he is changing means he is not satisfied. It's sad. I finally just glued up a sheet of 05 Hard, although I won't use it for another week. Now that the German Nationals is over, do we know if Timo is still using 09C? But what is sad about it? If I want to test what's new and how in the pros, I should rip off teh T05H and glue on some T09C. Except i can't buy that. Or maybe I can? What rubber does Butterfly sell that combines the Tenergy spring sponge with a tacky topsheet? SpinArt. 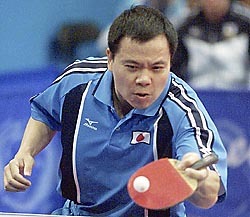 Which blade is using here lían jinkung? Does anyone know what Timo is using this week? First he was using T05Hard, then T09C, and now I'm sure. I just watched a couple of new matches online (beat Fang Bo to make up for a loss last week, and then beat somebody named Majoros -- I have never seen a match before where Timo looked bored). 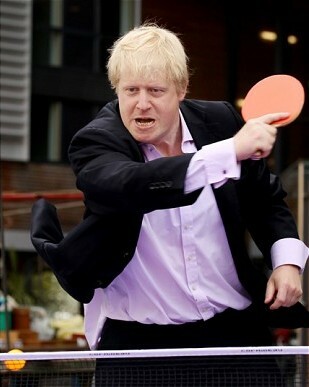 Anyway, I couldn't make out his rubber in either match. this maybe even more recent game. Timo is still not playing well. could be the flu. he does twiddle when smashing.